Counting Your Penguin Chicks Before They Hatch | Watts Up With That? We tested whether chick age, amount of rain, or low temperature affected a chick’s probability of dying during a storm using our 28 years of data with multiple logistic regressions. Mmmm … testing to see whether more young chicks die in extremely cold, rainy weather … seems to me that even city kids would know the answer to that one. In any case, how does this blinding insight into penguin mortality tie into climate? Glad you asked. It has to do with their model … or rather their models. Figure 1. A list of the combinations of three predictor variables used in their twenty-one different models. These are used to model the odds of a penguin chick dying in a storm. The three predictor variables are age (a), amount of storm rain (r), and low minimum temperatures (l). Sadly, they did not archive their data … so this is just pretty pictures at present. Click the image to embiggen. Their logic and observations go like this. They’ve noticed that the period during which the penguins lay their eggs has gotten longer over the last 30 years. Their hypothesis is that this will make them more vulnerable to the storms. Only thing is, how to prove it? We simulated the effects of breeding synchrony on chick mortality in storms. We simulated the proportion of chicks likely to die in a storm on a given day by the hatching spread: for 13 days (the mean for 1983–1986) and 27 days (the predicted value for the early 2080s, based on an increase of 0.15 days per year; see results). Climate models predict that the frequency and intensity of storms will continue to increase. Hey, that settles it for me. Since the data says there’s been a change in the length of their laying season, and since models say that the storms will kill more chicks if their laying season gets longer, and since they’ve included one sentence to establish that climate models predict more storms in the future, heck, their work is done. It’s a beautiful chain of imaginary causation, the scientific version of the bumper sticker that says, “God said it – I believe it – That settles it!”, with “Models” in place of the Deity. I have to say, this all seems to me like a huge waste of good data. These fine folks have done a solid, workmanlike job of collecting a very large mass of data over 28 years … but then they simply waterboarded the data until it confessed. One example of this is their choice of models. First, while it is legit to try 21 models, at the end of that process the model you find should be pretty amazing, or else you’re just flipping coins until you get seven heads in a row and declaring victory … especially when you just keep adding parameters. 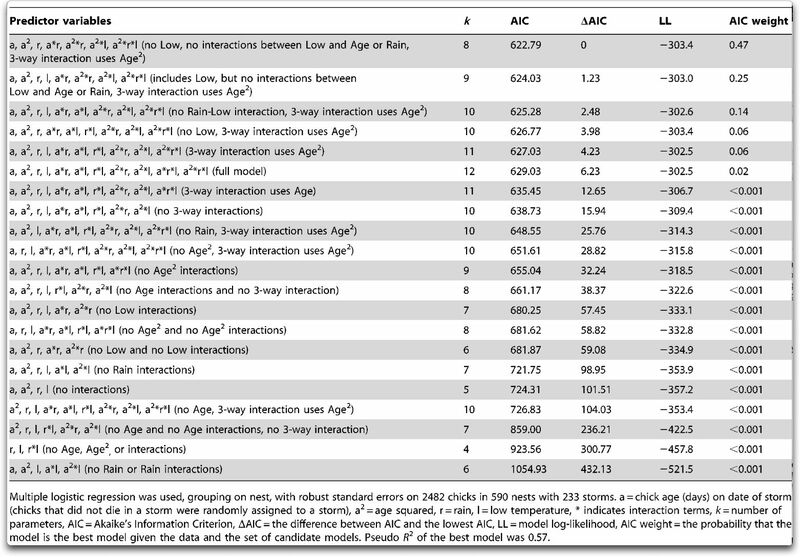 We included all 2-way interactions except age × age squared because we did not want to include a cubic fit for age which is unlikely to have biological meaning. I like that point of view, that the predictor variables should be real-world variables with physical or biological meaning, and age, rain, and low temperatures certainly fit the bill. Now that seems legit until you get to some of the combinations they use. For example, the model that they finally chose has the predictor variables of the following form. where “A” is age, “R” is rain, and “L” is low temperatures. Unfortunately two of these variables that they are using, “rain plus one” and “low temperatures plus one”, have no conceivable physical meaning. And that, in turn, means that their best model is actually nothing more than curve fitting using unreal, imaginary parameters without biological or physical meaning. It is for this reason, among others, that I’m very cautious when I make models, and in general I don’t like combination additive-multiplicative models of the type they use. Yes, I’m sure that people can make an argument for using them … I’m just saying that such models make me nervous, particularly when they end up with eight or ten parameters as in their models. Finally, despite their whizbang model, I strongly doubt the researchers’ conclusion that the change in the length of the breeding season will lead to more chick deaths. Natural species survive in part because their methods of living and eating and giving birth are flexible, and they are able to change them in response to changing circumstances in such a way as to increase their odds of survival. The idea that the penguins are changing their breeding habits in the direction of communal suicide seems like … well, like an unusual claim that would require supporting evidence that is much more solid than a computer model with imaginary parameters to make me believe it. N.B: If you disagree with me, please quote EXACTLY what it was that I said that you disagree with. A claim that I don’t know what I’m doing, or that I’m just wrong, or that I should go back to school, any of that kind of vague handwaving goes nowhere because I don’t have a clue what has you (perhaps correctly) upset … you could be right and no one will ever know it. So quote what you object to, that way we can all understand what you are referring to. So if climate change happens in the way they think it might, then some extra chicks might not make it. Sounds a bit tenuous to me. Some one needs to bring the BBC into reality not the left wing fantasy they have peddled for decades now. Magellanic penguins are limited in range, found around the Southern tip of South America, and with many in the Beagle Channel south of Ushuaia, Argentina. I would see if there are any temperature records for Ushuaia, or the Falkland Islands as an addition to this post. Here is a picture of one I took 21 years ago. The average yearly survival rate of the Emperor Penguin has been measured at 95.1%, with an average life expectancy of 19.9 years. The same researchers estimated that 1% of Emperor Penguins hatched could feasibly reach an age of 50 years. In contrast, only 19% of chicks survive their first year of life. Therefore, 80% of the Emperor Penguin population comprises adults five years and older. so, an average female might lay 18 eggs in her lifetime. that means, deaths aside, the population would be maintained by a survival rate of 2/18 eggs/chicks. therefore, to keep population stable at present size, about 16 of every 18 eggs/chicks must die. 8 times as many penguins must die as can survive – just to keep populations level. oops, sorry- that wasn’t the magellanic penguin. numbers not valid. principle still pertains. The climate will worsen (modelled), more chicks will die (theorised) and their beauty in the landscape will diminish until there is but one plaintive, bloody, left wing. “why not just use the data to actually calculate the relationship “. First rule of climate alarmism, never use data when you can use a model. If so, it wouldn’t be the first species that end up exterminated by natural changes in the climate. If a bird species lengthens it’s egg-laying period the most common reason is that the suitable interval for breeding has also become longer, either because food is available for a longer period or weather suitable for breeding lasts longer. Has chick mortality actually increased as the breeding period lengthened? The figure in the paper does not suggest so, though unfortunately there is no proper analysis of the statistics. However the figure shows that most of the storm mortality over the 28 years occurred in just two years (1991 and 1999), suggesting that significant chick-killing storms are too rare for statistical analysis. There is another confounding factor. The study was made at the Punta Tombo colony which I know fairly well. This is understandable as it is just about the only easily accessible large penguin colony in the world. It is also probably the most well-visited penguin colony in the World, so changes in the level of disturbance might be significant. I think it actually would be the first during the historic period. I can’t think of another, and I have worked quite a lot on extinction. Meanwhile in NZ the Auckland daily gave prominence to this paper and another in the same journal under the headline “Climate change puts penguins in peril” http://www.nzherald.co.nz/world/news/article.cfm?c_id=2&objectid=11194383. The other paper “Antarctic Climate Change: Extreme Events Disrupt Plastic Phenotypic Response in Adélie Penguins” was just as good. It claims “In Antarctica, while net sea ice cover … has increased over the past few decades .., modelled predictions point to a decrease by 5–15%, depending on sector, by 2025–2052”. From that point it is all down hill for the poor penguins. The study was made at Punta Tombo in Chubut province. The nearest weather station is probably in Trelew, c. 90 km north. That paper is most remarkable for what isn’t in it. Steven Emslie has documented extensively how Adelie penguins have reacted to climatic change in the past, by dating freeze-dried remains at active and extinct colonies, some dating back well into the last glacial age. His results are barely mentioned. The obvious reason to use a model, rather than just work out how many more chicks die as the laying range increases, is to find out what causes the deaths. That seems a reasonable aim. Ok, perhaps this isn’t the best model but it isn’t far way from being good science. Someone should have checked the idea of factorising their tests to examine the real-world meaning. (OK, Willis did but it got through peer review first). Is there no standard methodology for reviewing computer models? A tick-sheet for obvious mistakes would check what the parameters actually mean. And magellanic penguins are very cute. I’m in favour of magellanic penguins. There’s this neat thing I heard about called “evolution”. The idea is that those parents that lay eggs too early or late in the season will lose the chicks, and as a result their faulty genes will die out, and only those parents that lay eggs at the right time will have surviving chicks. Apparently, this system is claimed to automagically correct for things going wrong, like for example the spread of laying days getting too wide. I know, sounds like pure fantasy, but it seems some “scientists” take this evolution thing seriously, Probably too out-there for the BBC, though. Willis, the BBC has acquired several less than complimentary meanings, these include Biased Broadcasting Corporation, Bigoted Broadcasting Corporation and so on. It is hugely regrettable that this talented and influential organisation should have set out to sacrifice its reputation by continually peddling one sided views, its reporting nowadays all too often characterised by the routine distorting or misuse of facts. This tendency is not just related to climate, but also includes its views on religion, the European Union, economics, needed government reforms and so on. Like many others I have abandoned watching television altogether, which in Britain requires a licence fee (circa $200), money that directly funds the BBC. I cannot influence what they do but at least they do without my money! I do miss out occasionally when I would like to see some event or other, but you get used to it, the advantage being that it leaves time for other activities. Have you forgotten, Willis, one of the revelations of the 28-Gate affair was that the Beeb’s Heads-of-Departments were instructed to introduce Climate-Scaremongering into every facet of their output. Including Comedy. The above is a classic example. And all us residents of this Sceptered Isle have to pay the despised BBC Tax. Your analysis is spot on, the level of maturity the paper is pitched at, is staggeringly infantile. It reminded me of a real ‘carbon’ related adaption, the peppered moth, the other ‘Darwin’s Moth’! It’s been turning white again, since times have changed! On a similar note, there are records of several cold weather events, recent events at that, in New Zealand during lambing season. The cold killed off many lambs. As far as I can recall, none of those events were attributed to “climate change”, just a strong, presistent, southerly wind off Antarctica bringing cold and snow to farming areas. Is there no standard methodology for reviewing computer models? As a computer scientist and mathematician, more or less, this is a mathematical model problem. The BBC don’t report news, they report the BBC interpretation of the news. This is clearcut where climate is concerned but I believe it is also strongly influencing reporting of political, economic and environmental issues at home and abroad. If a person being interviewed dares to contradict the BBC view, then the interview rapidly descends into a shouting match! First rule of climate alarmism: Never use data when you can use a model. The second rule might be: The science is settled, if in doubt ask a climate scientist. Not quite there, Willis. BBC = Blatantly Broadcasting Cr*p.
Models are NOT experimentation! Models are nothing more than a demonstration of an unproven, untested hypothesis. They provide data which needs to be tested against reality. They do not provide true empirical data themselves. models do NOT show what is happening in the real world. They only demonstrate a hypothesis about the real world, which then needs to be tested against real world measurements. Maybe it’s icebreakers, helicopters, climate reseachers and their big Frodo feets, leopard seals, bad weather this season, overpopulation, growing shifting sea ice blocking access to/from the ocean, contagious infection etc. Nahhh…can’t get funding for none of them reasons. Just don’t send more researchers, it’s too expensive bringing them back. I for one am grateful the NSA destroyed the climate conference series. Err, hang on. Where did the “continue” come from? Models say frequency and intensity of storms will increase. But they don’t. They haven’t. Recent warming has NOT lead to increased storms. So the link they are suggesting is totally spurious. Why didn’t they compare the penguin data to storm data? Both exist for the period. Why not ? Because if they did they would not get the obligatory “climate change” link and would not get their 5 min of glory on the BBC. I’ve been trying to send you an email, but I’ve got an old email address of yours. Can you send me a message from a current email address so I can send you a little piece of analysis I think you could help with? Media Note: Images are available for use, with credit to University of Minnesota, at: http://www.flickr.com/photos/umn_inst_tech/8615817079/in/set-72157633158685642. Please note that the ACA permit number located in the lower left- or right-hand side of select images should remain on the photo. To receive higher resolution versions, please contact Rhonda Zurn (rzurn@umn.edu) or Matt Hodson (mjhodson@umn.edu). MINNEAPOLIS / ST. PAUL (04/03/2013) —Adélie penguins may actually benefit from warmer global temperatures, the opposite of other polar species, according to a breakthrough study by an international team led by University of Minnesota Polar Geospatial Center researchers. The study provides key information affirming hypothetical projections about the continuing impact of environmental change. Researchers from the United States and New Zealand used a mix of old and new technology studying a combination of aerial photography beginning in 1958 and modern satellite imagery from the 2000s. They found that the population size of an Adélie penguin colony on Antarctica’s Beaufort Island near the southern Ross Sea increased 84 percent (from 35,000 breeding pairs to 64,000 breeding pairs) as the ice fields retreated between 1958-2010, with the biggest change in the last three decades. The average summer temperature in that area increased about a half a degree Celsius per decade since the mid-1980s. The first-of-its-kind study was published today in PLOS ONE, a leading peer-reviewed scientific journal. The research affirms models published in 2010 projecting how south polar penguins will respond to changed habitat as Earth’s atmosphere reaches 2 degrees Celsius above pre-industrial levels, a point that is rapidly approaching. In addition to the overall population growth, researchers saw an increase in population density within the colony as it filled in what used to be unsuitable habitat covered in snow and ice. They also found that the emigration rates of birds banded as chicks on Beaufort Island to colonies on nearby Ross Island decreased after 2005 as available habitat on Beaufort increased, leading to altered dynamics of the population studied. World-renowned penguin expert and study co-author David Ainley, a lead author of an earlier study, agreed that this study gives researchers important new information. Adélie penguins are common along the southern Antarctic coast. They are smaller than their Emperor penguin counterparts standing about 46 to 75 cm (18 to 30 inches) when upright and weighing about 4.5-5.4 kg (10-12 pounds). The Adélie penguin lives only where there is sea ice but needs the ice-free land to breed. Breeding pairs produce on average one chick per year and return to the same area to breed if conditions haven’t changed. To determine changes in available nesting habitat in this study, researchers gathered aerial photos during the penguin incubation period in 1958, 1983 and 1993 and high-resolution satellite images from 2005 and 2010. Researchers overlaid the images exactly, lining up rocks and other geographical landmarks. 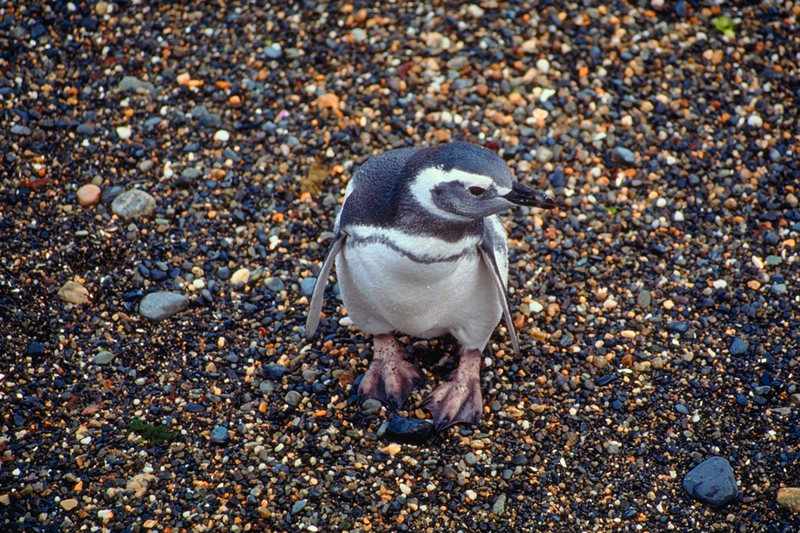 They studied guano (penguin feces and urine) stains to determine the available habitat. In the future, researchers plan to use additional satellite imagery to look at other Adélie penguin populations to help understand the dynamics and environmental factors that influence regional populations. In addition to LaRue and Ainley, other researchers involved in the study included Matt Swanson, a graduate student researcher at the University of Minnesota Polar Geospatial Center; Katie M. Dugger from Oregon State University; Phil O’B. Lyver from Landcare Research in New Zealand; Kerry Barton from Bartonk Solutions in New Zealand; and Grant Ballard from PRBO Conservation Science in California. The study was primarily funded by the National Science Foundation (NSF). Humans have extended their hatching period to the point where it can’t be extended any more. I wonder how that affects mortality due to storms. Am I just being pedantic in saying that there are actually 7 expressions and only 3 variables? Terminology can be important even if the conclusion is the same. Here’s the strange part for me. Since they have good data on the length of the egg laying season, and good data on storms and chick deaths, why not just use the data to actually calculate the relationship between storm-related chick deaths and the length of the egg laying season? Perhaps I missed it, but I couldn’t find that calculation in all of their work. Have we now got a generation of would-be scientists (not actual ones) who think that models are science rather than observations? @ Greg 2:14 am. I was going to say that. The very first sentence of the abstract contains, let’s be generous, an error. So what’s the point of reading the rest of it if they can’t get a basic principle right? come on Willis, EMBIGGEN is not a word in the Oxford English Dictionary. It is made up like all that BBC rubbish. The word is ENLARGE far neater and sounds better and is in the dictionary. Lot of ‘talent’ went in the other direction from LWT to BBC, forget about the artist but people like Sir Christopher Bland, John Birt (now baron), Greg Dyke etc (known and met them all). BBC did lot of exceptional engineering research and innovation in all fields of broadcasting, did excellent Horizon and other scientific programs. But that was in the distant past. Unfortunately its AGW partisan stance damaged the BBC’s reputation, then all the scandals came along …. Do climate scientists not believe in evolution, as forcibly taught in school? This doesn’t even pass the common sense test. If the breeding season is longer, and penguins are hatched over a longer period, mortality should decrease as the risk of the brood encountering a severe storm is spread. So, if there is a storm early in the breeding season, then penguins born later in the season will survive. And vice versa. Longer breeding season = lower risk of a storm wiping out entire brood = lower mortality. BBC’s presence on the Chris Turney AAE Fiasco was focused – primarily i would say – around the Adelie penguin numbers decreasing because of climate change. this was andrew luck-baker’s theme in all bbc news interviews – sometimes with leading questions from the BBC presenter in the studio (as opposed to the varying themes of the four Discovery programs he made). Since I appear to be a far more cynical person than you (or you were just trying to be polite and not call these individuals out), let me propose a ‘hypothesis’ to answer your question. I hypothesize that they did indeed use the data in hand to calculate the relationship and found that it did not support their desired findings, so … they went through these horrendous manipulations to get the desired result. Let me construct a series of models to verify my hypothesis using the hypothesis as axiomatic …………. Agreed – that is MarkTwainian logic at its best. And while ‘breeding all year’ they will still only have one egg. I have photos I took of penguins basking on the beaches near Fish Hoek east of Cape Town. It is just possible, like a Canadian sunbird in Florida, they might adapt rather well to a warmer climate, though as time passes it has become obvious that is not going to happen for a few centuries in the Antarctic. The article deserves the same lampooning as the silly ‘drowning polar bears succumbed to storms’. Polar bears (immobile, doing nothing except breathing) float in sea water. Doh…. Kind of like the Mayans and a dozen other early human civilizations wiped out by ‘climate change’ (i.e., changes in local weather patterns that disrupted the food cycle)? That is what really annoys me about these climate “scientists”. They use models to validate their hypothesis. To a layman, they seems scientifically plausible. In reality, they are making a model of the hypothesis, and then declaring that it validates the hypothesis. A hypothesis, regardless of it’s form, cannot validate itself. It must be tested against reality. What really boils my p!ss is when they claim reality is wrong, and they have a model to prove it! “EMBIGGEN” is a perfectly cromulent word. > So in fact, rather than the 7 variables they say they are using, in fact they are only using 5 variables. Unfortunately two of these variables that they are using, “rain plus one” and “low temperatures plus one”, have no conceivable physical meaning. Adding x1/x4 to R could have some physical meaning, no? Other than that, great work as always. johnmarshall (January 30, 2014 at 3:02 am)“EMBIGGEN” is a perfectly cromulent word. You looked it up too I first learned of Embiggen from our good friend Soylent-Green, but alas his web site shall we say is no longer cromulent. It also wasn’t SFW. Thanks Willis. I look forward to your posts. Maybe someday you’ll write about the Great Snowy Owl populations moving South and being found now in such places as Ohio, Florida and along the Red River border of Oklahoma and Texas. We’d also be glad to welcome Magellanic (or any) penguin residents if they could adapt to our extremes. On the bright side, Soylent- Green won’t have to worry about new “rules” for journalists, which the Obama administration is cooking up as we speak. Of course, in the US we already have a Constitution dealing with journalists, but what difference at this point does it make? Ah yes! The “Spirit of Mawson”, boondoggle deal and now the other shoe drops! The agit-prop pivot from “endangered Polar Bears”, which the hive-propagandists got some real mileage out of before the spoil-sport, ursine brutes went all counter-narrative on their eco-hypster betters with some “inconvenient truth” in the high fertility-rate department, to the next scare-booger BIG-THING! : “endangered penguins”–no! that’s not it!–make that the “endangered, aren’t-they-so-cute-and-darling!, oh!-the-poor-babies!, PENGUIN CHICKS”, no less! And just think: If the Akademik Shokalskiy hadn’t gotten stuck in ice and become a highly-publicized, laughing-stock symbol of various “things”, then we just might have had Professor Turney, at this very moment, before us, pleading the poor penguin-chick’s case as the publicity-hound, media-genic, Indiana-Jones/Crocodile-Dundee./spiritual-heir-of-Mawson/Carl-Sagan-doppelganger, hybrid “new face” of CAGW “bogey-man”, rip-off-carbon-tax-and-wind-turbine-subsidy-philic “science”. There are some reports, I understand, that the AS got stuck in Antarctic ice because a group of the passengers “dawdled”, against the skipper’s orders, during a trip ashore–an excursion in which it appears the relevant passengers (to include the BBC guys?) took almost as many pictures of penguins as they did “selfies”! Lots of “denier”, conspiracy-theory “ideations” (as one would expect from those anti-science, flat-earther, Republican-brain types) on the “why and wherefore” of the “dawdle”. So let me pile on. Maybe, just maybe, the “dawdle” ashore was prompted by the need to get even more video of “concerned greenshirts” and “ENDANGERED, PENGUIN CHICKS!!! !”, due to an insufficient footage, at the point in time when the ship’s master called the shore-“party” off, for some planned, alarmist documentary (BBC? ), that has now likely gone bust. Notice how the hive’s big-push! enviro-campaigns always involve some “celebrity” critter in the roll-out? Same trite, going-through-the-motions, recipe card, used over and over again. Others might disagree, but I kinda think the hive’s sad decline traces its origin to Jan Berzin’s first, last, and only trip to the Lubyanka’s basement (the wiki entry doesn’t even begin to plumb Berzin’s “depths”, by the way–indeed, the entry might have even been “sanitized” by some good comrade). And I say this as a pal, neal! Bound neatly in the mathematics, with a headstone of statistics and all surrounded by the neat model cemetery … it’s all there you just have to dig. Scientists from the Australian Antarctic Division and the Scripps Institution of Oceanography at UC San Diego in California also worked on the current research. That emperor penguins can move their breeding site depending upon ice conditions to a more stable location, including onto the top of the ice-shelf itself, means new factors should be incorporated into modelled population trajectories for this species. Whether such factors will provide temporary or permanent relief from the impacts of climate change remains uncertain. Yeah, you read that right – MILLIONS of’em! Trying to keep good track of highly variable chick mortalities and then projecting the effects of small climate variations on penguin populations is tantamount to a blind man trying to herd cats. BTW – there are 60 million penguins in the world split among 17 subspecies. An endangered species they ain’t. How can the BBC have sunk so low? Parts of England have had their wettest January since records began more than 100 years ago. But which parts? If there are 2 equal parts then that’s an average of a 50 year event. 3 parts, an average of a 33 year event. Divode the country into 4 parts then the rainfall would be expected every 25 years. And the Somerset levels are not a ¼ of England. Intense rainfall and extreme heat combined with predation and starvation make life difficult for penguins, a University of Washington scientist says. This is so embarrassing. In one paper they combine practically every aspect of the way that the climate political agenda has twisted the practice of science. As you point out, Willis, they actually did collect an enormous amount of data that has the potential to add to our knowledge of penguins. But, rather than publish something real, they get sucked into the vortex of the climate religion. Just as the Soviet Union forced upon scientists the mandate that every finding must in some way confirm or endorse the rightness of Marxism-Leninism, in order to get published, these craven researchers took a perfectly good research effort and twisted it to serve a political agenda. It is a betrayal of all the gradual students who spent cold days counting eggs and penguins in the frozen Antarctic. They probably don’t even know enough to be upset about it. They are just glad their names on a publication. Even climate alarmists should be embarrassed by this, because it so transparently violates the proper use of models. That model! OMFG! Let’s throw a zillion parameters on the wall and see what sticks. Who would want to be associated with that? The stupid, it burns. Ain’t nobody got time for that! re your post at January 30, 2014 at 4:41 am. The tops of mountains do not flood. Low areas may flood. etc. Your illustration assumes all areas are the same. They are not. Your basic point is right but your illustration is wrong. A bad illustration loses an argument. If chick age is a valid variable (as I suspect it is), then, if younger is more vulnerable, it would tend to mitigate to possible catastrophic effects of rain & temperature. For case 1, a bad day of rain and temperature when all the chicks are 1 day old could kill 100% of this years’ chicks. However, in case 2, only 1/365 would die for each such bad day. It’s very possible that increasing the hatching spread might increase the chances of at least 1 death in bad weather, while minimizing the effect on the flock total over time. So I’m waiting for a client to fix his remote access, a bit bored, so I peeked at the paper, out of boredom. I couldn’t see any colony census data that would indicate the change in total adult breeding pairs over time. An essential measure of colony health. Did I miss it? …the oldest known penguins date back to just over 60 million years ago, the timing of the evolution of modern penguins (i.e. the group containing all living species and their most recent common ancestor) has been the subject of considerable debate. A paper published in 2006 by Baker et al. estimated that the crown group (modern penguins) diverged from other penguins around 41 million years ago. The problem with this however is that the oldest fossil penguin that is definitely modern is only around 11 million years old, leaving a 30 million year gap. …So where does the new paper by Subramanian and colleagues fit into this picture? Well the results they obtained from their analysis suggest that modern penguins first evolved around 20 million years ago, a figure that is much more in line with what the fossils are telling us…. 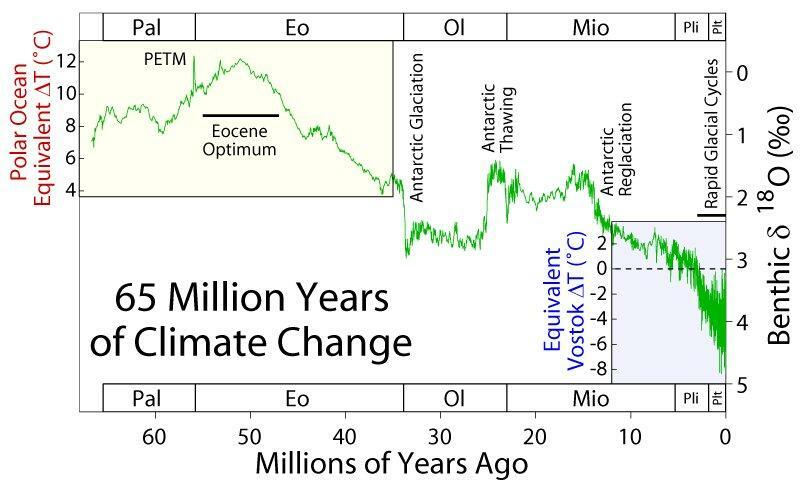 In the last graph you can see around 35 million years ago the Antarctic glaciation occurred and at 25 million there was a bit of a thaw but since then it has been all been down hill in the temperature department. I doubt modern penguins have much to worry about. That took about ten minutes to put together. Why can’t scientists and journalists do a bit of INVESTIGATION like they are supposed to. But I think many will enjoy this sketch of the UK Parliament committee for Energy and Climate Change when they met the “Sceptic” scientists. Most non-equatorial animal breeding cycles are determined by photoperiod…deer hunting 101. Well..The Beeb have been getting very ¨sceptical¨ recently, even to the extent that a recent item about high rainfall had an explanation in which didn´t have global warming or climate change anywhere in it! @Garethman. No they are not, and some parts of Scotland have had below average rainfall. But the parts of England which have had rainfall levels which are the highest on record, and those that have not had such records have suffered month in and month out of rain rain rain, with occasional damaging storm to vary things. It’s easy to say ‘nothing unusual, move along there’ but at some point all these things add up to together to give a good indication that the climate of the UK is changing, and that change is not a good one. Whether you believe in the ideas of human effected climate change ( as I do) or not, we have to start adapting the way we cope with this weather. The Penguin chicks show what happens when organisms do not adapt, and it’s a lesson for all of us. The only record that seems to be safe at the moment is to get through a season without breaking one. The paper appears to be a classical example of “overfitting.” The Wiki description is “In statistics and machine learning, overfitting occurs when a statistical model describes random error or noise instead of the underlying relationship. Overfitting generally occurs when a model is excessively complex, such as having too many parameters relative to the number of observations. A model which has been overfit will generally have poor predictive performance, as it can exaggerate minor fluctuations in the data.” (http://en.wikipedia.org/wiki/Overfitting) A nice discussion can be found at http://www.psychosomaticmedicine.org/content/66/3/411.full.pdf+html . Far too heavy a hand on the canned regression packages and too light on the involvement of an actual trained statistician. No, some areas are more prone to rainfall but the records compare the same area over time. The record in question relates to rainfall – not flooding. Garethman. No they are not, and some parts of Scotland have had below average rainfall. But the parts of England which have had rainfall levels which are the highest on record, and those that have not had such records have suffered month in and month out of rain rain rain, with occasional damaging storm to vary things. I’m all for adaptation but not alarmism. Sometimes it rains. Sometimes it doesn’t. It has been wet in parts of the south of England recently. That is something to see. But it is not exceptional. Spinning the news by ignoring the facts doesn’t lead to good policy. Look over there something bad is happening… that’s boring over the other way. Oh! Now it’s exciting over the other way… forget about the first place. Oh! Now somewhere else is exciting. Everywhere is exciting! Yet another example of CAGW bias in academia. They appear to have attempted to simply join the dots they *know* must exist between the catastrophic scenarios of CAGW and their cache of data. You’d think folks from a department of biology (at the University of Washington) would have more appreciation of the subtleties of evolution, and the non-linear / complex responses this has endowed species with at both generational and sub-generational timescales. As Willis points out, it’s hard to figure why they didn’t just get the data to speak to them, at least as a preliminary stage to (and summarised within) any further work. Scientist writes grant request for penguin study #357. Denied. Adds link to climate change and resubmits. Approved. In Tennessee where we have zero temperature trend certain turtles are in danger from warming according to a similar study. Apparently our turtles can sense that temps will warm and are changing their behaviour now. You only need pay the “tax” if you watch live broadcast..
Told the British Bullsh.. Corp to take a hike after the 28gate debacle, never looked back! How did they get funding for a 28 year field study? That question isn’t in jest, weather studies need longterm, boots on the ground work – a management paper describing how they were able to stay funded, keep the data valid between various cohorts of researchers, and resist publishing to early would be interesting. My comment on penguin evolution seems to have gone the way of the dodo bird. Can the mods please fish it out of the netherworld? @ M.Courtney “I’m all for adaptation but not alarmism. Sometimes it rains. Sometimes it doesn’t. But it is not exceptional. Spinning the news by ignoring the facts doesn’t lead to good policy. Look over there something bad is happening… that’s boring over the other way. Oh! Now it’s exciting over the other way… forget about the first place. Oh! Now somewhere else is exciting. Everywhere is exciting! But not all at the same time so you need to consider the whole picture. 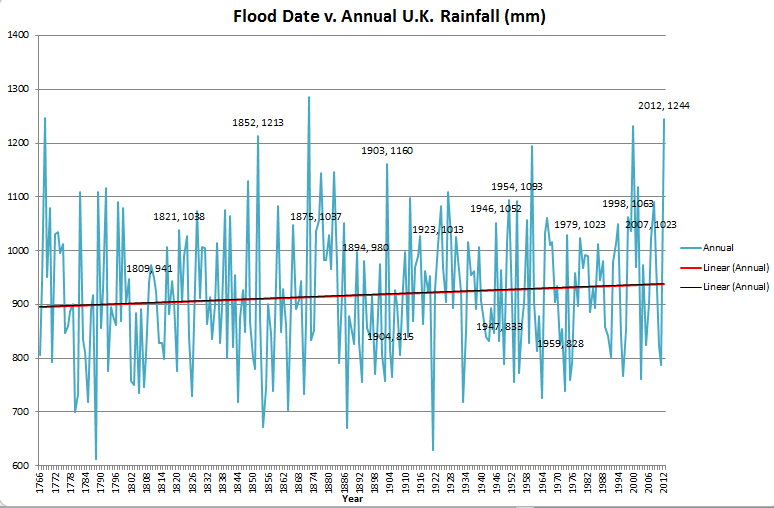 This is not spinning, or alarmism, this is just stats.The highest rainfall on record is exceptional in anyones books. We can say to people who have been sitting on islands in floods since last year ‘don’t worry, these things happen’ but it does not help them. When record after record is broken, one record maybe is not significant, or even two, or even three, but eventually it starts to add up. We will always be able to say ‘look, it’s not happening over there’ but only for so long, eventually we have to start adapting. This can be by building better flood defences, drainage or dredging, but ignoring evolving weather patterns really will not help. Each country, each area, each region will need different solutions to a changing climate, but the earlier we start, the better the outcome. Gareth Phillips says January 30, 2014 at 5:56 am … I think we wil agree to disagree, but perhaps we can agree that adaptation is a good thing. However, record after record broken is what you should expect. Records are broken everywhere, sometime. The same record being broken is a different thing. That’s a trend. Alternative hypothesis. Penguins (being smarter than your average office bound climate pseudo-scientist ) recognise the survival advantage of the slightly warmer conditions and have increased the length of the breeding season to take advantage of “climate change”. On a similar note, there are records of several cold weather events, recent events at that, in New Zealand during lambing season. 2013: Northern Ireland: Farm Sheep Buried In Snow: Thousands of sheep remain buried in snow in Northern Ireland as farmers prepare to assess their losses. 2013: Cattle a casualty of South Dakota blizzard other American ranchers ponyed up and donated cattle to the stricken ranches. As of this writing, Mongolian and international aid agencies estimate that more than 2 million domestic animals have perished so far in this dzud. Ten to twelve million died in the last disastrous episode ten years ago, and this dzud is regarded as far worse. Some fear that up to 20 million animals — half of Mongolia’s total herd — may succumb before tolerable weather arrives in late May…. Why can’t we gather and interpret data anymore? Does it just take too long? Is our need for instant gratification driving our tendency to just make sh!t up with models now? Ah yes! The “Spirit of Mawson”, boondoggle deal…. As I recall Turney was silent during the time Rice sent this info. I do not think she was aware of what was going on until she got back to the ship. No conclusive but a bit suggestive especially if the whole reason she was aboard was to get a photo op with the penguins to use in newspaper articles and TV programs when these studies came out. “You look at the credentials of some of these people [on the IPCC] and you realise that the world doesn’t have that many experts, that many ‘leading climate scientists'”. Support for those statements has appeared faster than a lightning bolt. So lets start with Adélie Penguins. More than 95% of the Antarctic coastline looks like this: sheer cliffs of ice and rock meeting sea ice at their bases. Adélie Penguins cannot make their colonies in these locations because they need ice-free land with a supply of small rocks with which to build nests. whoa stop a minute – ICE FREE LAND? And my buck goat (same rut season as deer) went into rut in June and the does into heat so now that the really cold weather is hitting my kids are over two months old…. Man, I havn’t factored polynomials since grade 12. I loved that stuff. I think I need to google some practice questions. I have been concerned about climate change affecting penguins, but this is the Emperor penguins in Antarctica. If the ice sheet keeps extending each year there may be a point that they will find it difficult to return to feed the chicks. Okay, so it is the wrong kind of climate change so probably no funds to study it! The main threat appears to be oil pollution, which was thought to kill more than 20,000 adults and 22,000 juveniles every year on the Argentinian coast (Gandini et al. 1994) (also the wintering ground for the Falklands population [Pütz et al. 2000]), although this threat is now much reduced. (I. C. T. Nisbet in litt. 2010). Mortality may increase in the future if petroleum extraction is developed offshore of the Falkland Islands (Malvinas). The expanding Argentinian anchovy fishery may threaten the largest known colony at Punta Tumbo, and there is no mechanism to quantify the impact of the fishery (BirdLife 2007). Penguins are hunted for bait in Punta Arenas, Chile, and are often caught in fishing nets, particularly in Patagonia (Gandini et al. 1999, Yorio and Caille 1999). Fisheries may be having an additional effect, as bycatch includes juvenile hake and anchovy, which are an important part of the species’s diet (Gandini et al. 1999, Pütz et al. 2001). Predation from foxes, rats and cats occurs on some islands. Egg-collection occurs at localised sites. El Niño Southern Oscillation events can cause range-wide disruption of breeding (Ellis et al. 1998). If precipitation regimes at nesting colonies change resulting in more than 2.5 inches of rain falling during a year, a possible consequence of climate change, most chicks will not survive due to burrow collapses and hypothermia (Boersma 2009). Tourism may also disturb individuals at breeding colonies (Boersma 2009). The world population is estimated at 1,300,000 pairs: 950,000 along the Argentinian coast, 100,000+ in the Falklands (Malvinas) and 200,000+ in Chile (Ellis et al. 1998). Population trends differ between colonies. The two largest colonies in Argentina have both shown decreases during the last decade, but other small colonies have grown. Radio-tracking has shown that breeding birds regularly travel long distances, and were found to be frequenting shipping lanes, where many birds were getting oiled. Changes in Chubut provincial law moved the shipping lane after the findings were given significant publicity, and thus the oiling threat has been somewhat reduced (Boersma in litt. 2007). …The Penguin chicks show what happens when organisms do not adapt, and it’s a lesson for all of us…. I suggest you go back and read the information on Penguin Evolution in my comment and then pay special attention to the temperature charts I posted. Then you might pay attention to what William McClenney, a California Licensed Professional Geologist and Registered Environmental Assessor has to say. The Sky is Falling – or Revising the Nine Times Rule …the human being is nine times more susceptible to rumor than it is to fact. That simple rule explains a dramatic amount of human behavior. …Zooming back to 2 million years ago, we see with the clarity of archaeological conviction that climate change has been very good to us. Spend some time reading tons of information on hominid evolution, and you will soon come to know that scientists in that field have long speculated that climate change over the past few millions of years, yes, those same two million or so years has been a very effective agent provocateur in our evolution. Our brain case size has experienced dramatic increases, in fits and starts, of course, to go from about 500 cubic centimeters (cc) to about 2,500cc in the last 2-3 million years…. ….Eventually, via numerous glaciations, and the increased braincase size that these wrenchingly long freezing events spurred, we made it intact to the Nine Times Rule So the question really begs to be asked. Will it take another (let’s call it the next, since its actually time for the next one now) ice age to “smarten us up” some more?…. At times the idiocy of the sheeple, and their demonstration of the infallibility of the Nine Times Rule, make one want to wish for the next glaciation to get here ASAP! A few days ago they had some snow. We have to face the fact that the BBC’s science/environmental reporters are incompetent. This is one I’m not going to read another word of the article or any the comments. But I’m reasonably certain the article title would be more accurate if it read: “Weather Change Affects Reproductive Failure…..” That would undoubtedly have made it harder to get published, however. Although there is the possibility that the editor was short material, dug up this one and retitled it, I suppose. “If precipitation regimes at nesting colonies change resulting in more than 2.5 inches of rain falling during a year, a possible consequence of climate change, most chicks will not survive due to burrow collapses and hypothermia (Boersma 2009). That can’t be right. Granted, the climate is quite arid in that part of Patagonia, but on average the area gets about 8 inches of rain per year. More and more often findings of research conducted in the UK and reported on BBC science programmes have been blaming climate change. The trouble is, when I have read many of these papers, the periods of research have been 20 years or less (isn’t that weather! ), but the temperature has had a downward trend over this 20 year period. This presents a major problem for science. One, why have reviewers not picked up on this point. Two, if the changes these researchers are observing is not attributable to climate change/weather they are missing the most important point, what is causing these changes. Three, as they are being funded to gain better understanding of their topic/research and they are not gaining that understanding, why are the funding authorities not checking on this and withdrawing future grants. Four, I suppose without mentioning “climate change”, they wouldn’t get the funding in the first place. Science research and funding authorities have really got themselves in a mess. “…the human being is nine times more susceptible to rumor than it is to fact. That simple rule explains a dramatic amount of human behavior. If the rumour believing group is nine times the fact believing group that would mean 90% should be having problems. I guess Mr. William McClenney’s 88.9% is just a rumour. So they ended up (hap-haphazardly, as Willis shows) testing to see if Global Cooling would kill more Penguins, came to the conclusion it would, and then criticized “Global Warming” for that outcome??? I am sure the weather effects the early days of every animal on the planet today and in the past. Gail, billies will be billies and the relationship between breeding and photoperiod is strongest at increasing distance from the Equator. If memory serves, there can be two distinct breeding periods in the southern U.S. States. Of course, the alternative hypothesis is, the changing climate forced your goats into unnatural breeding behavior. You make a fundamental mistake. They are being funded to indoctrinate the public with the AGW scam. That is why is why the fake “inquiries” into Climategate scandal whitewashed UEA and its staff by avoiding asking the right questions. That is why the Penn State “investigation” into Mann’s conduct let him chose the question in advance. That is why Peter Gleick was not prosecuted , despite having admitted what amounts to wire fruad, a serious criminal offence. I wonder when global warming research is going to introduce disease to the penguin population like happened to the worlds various frog populations. As with the frogs global warming will be blamed. The contagious researcher will likely be cautious to hide this fact should it occur. Perhaps the researchers should be quarantined for months before and after their research. To prevent spread of some virus that could be spread to the human or other animal populations perhaps their equipment should be destroyed by incineration or sinking. This seriously has a more authentic scientific connection than many of these silly studies do. Here is another penguin which was thought to be in worse condition than previously thought! We must act then! Now what does high sea ice extent do to these birds? This fits in well with the most recent story I read in the Toronto Star (think NYT or Guardian wannabe) concerning the latest (of a long line) of “good goddess, the monarch butterflies are disappearing!! !” stories. Not to make light of what would be a tragic occurrence, but of course, buried in the “this is due to climate change” sub-leads is “they are cutting down the trees the monarchs use” in Mexico. Just maybe, MAYBE, that has something to do with it, huh? Here are some other issues affecting chicks. [Note: Oiled birds find it more difficult to hunt for chick food]. ………..Oil fouling was the most frequent cause of injury or sickness. The number of oiled penguins reported in their wintering range has greatly increased since the early 1990s and is strongly correlated with petroleum exports from Argentina. Our results show that chronic petroleum pollution is a problem for wildlife from Southern Brazil through Northern Argentina, and regulations and enforcement are failing to protect living resources. One of the results of human disturbance at seabird colonies may be the provocation of the typical vertebrate adrenocortical response to stressors, but there have been few studies that demonstrate this. 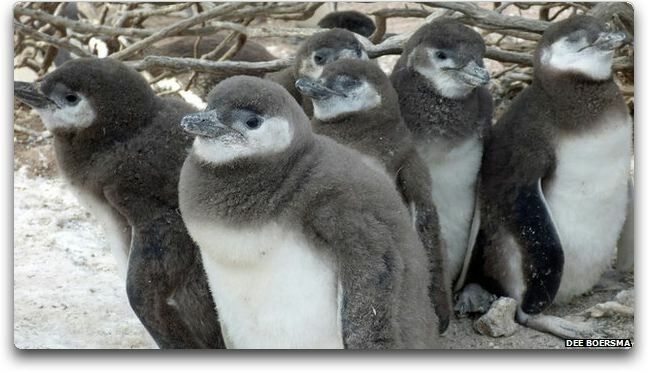 The present study demonstrates that simple human presence at the nest site, without effects of capture or handling, is physiologically stressful for breeding Magellanic penguins (Spheniscus magellanicus) that are not accustomed to seeing humans……. You have to admit, though, that counting dead electrons in a model is much easier and funner than counting dead baby penguins. The pale, speckled peppered moth turned black in many parts of Britain following the Industrial Revolution over the space of a few decades, enabling it to blend in against soot-covered trees and avoid predators.”….Sorry, disproved as pure BUNKUM… A. The trees were NEVER that “soot covered”. B. Some of the work done by a researcher in the United States, with the moths, showing them being “pecked at by birds” if they were WHITE against a black surface (photos) …were revealed by the fellow’s graduate students, in the ’40’s, to have been staged with dead moths glued to the trees, and surounded by suet. This is normal, next year another part may have a drier or wetter season. You can’t link this to man’s greenhouse gases. As for adaptation to weather and climate we have been doing it since the last glaciation and before. Don’t adapt to short-term events (variable weather) otherwise you end up with the Australian situation where they wasted billions on de-salination plants only to mothball them after their biblical deluge. There is no such thing as a steady climate state, it changes. Now here are examples of extreme climate events during the Holocene and before 1850. I will follow up with the great storms of the Little Ice Age. A DESALINATION plant has been opened amid an ongoing commonwealth Auditor-General investigation into its funding and an admission by South Australia’s Labor government that the $1.8 billion facility will likely not be used after its initial “running in” phase. Gareth check out the Great storms of the Little Ice Age. It seems storminess worse more extreme during that cold period. Possibly Jimbo, but what I am referring to here is the rainfall records which have been scientifically collected as formal records. There could have been all sorts of weather throughout the UK before modern data collection, we cannot be exact on that. The rainfall in much of the UK is already a third higher than the average, and we have another storm arriving tomorrow and further fronts before the end of the month. We can debate the cause, but we cannot ignore these issues. The same freezing weather affecting North America is effecting the appalling weather we are suffering, it’s starting to feel like once in a century storms are happening every few years, and so we have to act. From my view we should stop quarrelling about the causes and look at what the weather is doing and how we need to address those challenges.I know someone will pop up and say it rained like this in Hicksville in 1926, but this is not 1926 or the Little Ice Age, things are different now and there is substantial cause for concern. This is bunkum. There is no more reason to be concerned today than say 40 years ago. Forty years ago there was rain, snow, hurricanes, tornados, wind, fire, disease, etc. We have less reason for concern now if anything. We have better radars, better building materials, better health care, better almost everything. I didn’t read past the headline. Willis wants to wallow in how B.S. is generated, and some people are into self mutilation. Actually, to use a lovely Bushism, it appears that you misunderestimate the whole dynamics of the situation. If nobody posts serious scientific objections to some piece of “B.S.” (to use your term) that’s being passed off as real science, lots of people believe it. I see this all the time. I go into my dentists and the receptionist says something like “Did you read about how people with SUVs are killing penguins?” And this piece of penguin poop has gotten wide coverage both on the web and in the MSM. I’d much rather be doing my own research … but I’m not going to do what you advise, stay silent in the face of execrable science. That way lies disaster. It also seems you haven’t noticed the fact that science progresses by falsification. As a result, your sneering at my falsification of the penguin study just reveals your lack of understanding of science and how it works. Now, you may not like me fighting against bad science … but claiming that I’m just “wallowing in how B.S. in generated”? makes you wonder how penguin have managed to last over these many millennia with their much bigger changes in climate . One sign of the end of climate ‘doom’ will be that we no longer see such ‘shoe-horning ‘ of AGW into research as without the cash the reason fore scare stories goes away. Another awful article in climate alarmist science by the BBC because it relies only on models that aren’t backed up by scientific observations. Comparing actually decent scientific data set from penguins with made up, what we want make believe model data only makes this overall conclusion farcical. What they should have done is compared this penguin data with real scientific observations and then we might have had something worthwhile. My point Gareth is there is no need to do anything apart what we have been doing since man walked upright. We adapt as we go. It’s just the weather and not the climate. One flood record is meaningless for goodness sakes. You can look all over the world and records will be broken. So what? Please do pay attention to my Australian example and the now costly and mothballed de-salination plants. They were preparing for permanent drought! Q) What do you propose that the British Government do about the climate? Q) What do you propose that the British Government do about the weather? Even if they could take action they would not affect the climate in the least. Our co2 output will continue its wonderful, relentless rise. Stop worrying. Well spotted Greg. See, that’s how they do it (the brainwashing bit) – it’s so suble few people even notice it. Definitely “British Brainwashing Corporation” for me. On the other hand, they make it so obvious sometimes – what they’re doing – but they get away with it over and over, from showing people waving Indian flags while claiming to be reporting Libyan uprising, to showing photos of shrouded bodies from Iraq while reporting Syrian chemical weapons and breaking news of a skyscraper collapsing twenty minutes before it collapsed. They are not to be trusted. The purpose of the (mainstream, corporate) news is not to inform the public, it is to shape public opinion. The mathematical formulae are way over my head, but great picture of the penguins! Who doesn’t like penguins? They’re great material for a propaganda piece (and we’ve seen a few already on penguins). Simple. So they just cook it up and serve it up to us. By “cook it up” I mean that over a period of many, many years the scientific establishment, mainstream media and political establishment are funded to investigate and promote the “climate crisis” and as their “findings” come in, they are spoon-fed to the unsuspecting public via the MSN so that they will then be willing to give up their money to the banksters and energy companies who are behind the whole scam (IMO). And the brainwashing works – people think industrial-scale mega-turbines blighting the British countryside is a “good thing” and “necessary”, because they saw it on the flaming telly. They think: “the government and the BBC and the scientists couldn’t be wrong”. Well they don’t actually think that, but that is the underlying mindset which allows the messages promulgated by the MSM to penetrate the minds of the unsuspecting viewing public so easily. It’s a trusting, non-questioning mindset, we just get spoon-fed our ideas. You can see this process in action at any workplace office cooler – people talk about what they saw on TV last night. In the case of TV news, people watch on different channels and see the same news, with different presenters and differing political biases. They can then have a discussion about what they know and have their views and opinions reinforced (since they’re both singing from the same hymn sheet to start with anyway). This is how much power the six corporations who control most of the western media have over peoples’ minds. It’s frightening, if you ask me. come on Willis, EMBIGGEN is not a word in the Oxford English Dictionary. I said I know it dad, ain’t she cool, that’s the kind I dig! In any case, the one thing that we know for sure about the word “embiggen” is that it is perfectly cromulent …. That’s what I thought (and think) as well, AP. If the risk is a single catastrophic event, wouldn’t spreading out the egg-laying time be an advantage? They say (or their model says) no, it would be a disadvantage. That’s (one reason) why I was bummed that they didn’t archive their data, boo, hiss, because I suspect that their data could actually answer that question. Gareth Phillips you need to show us worsening trends. Then after that you need to show that they are not tied to natural climate oscillations also called climate change, because that’s what the climate does. Wait a minute though. We’re talking about the southern coast of Argentina, right? Violent weather and torrential downpours? Cape Horn?? Tierra Del Fuego? Named 3 or 4 hundred years ago. That place? One of the stormiest, most unsettled weather areas on the planet. Seriously? They’re not talking about Rhode Island here. What absolute nonsense. Whoa, whoa, stop right there, cowboy. Accusing another man of lying about his results or concealing them to his advantage WITHOUT A SINGLE SCRAP OF EVIDENCE is simply not acceptable on my threads. I get accused of this kind of malfeasance all the time, again without evidence, and I hate it with a passion. As my mom used to say about calling someone a liar, “Them’s fightin’ words!”. Don’t even think of doing it unless you have rock-solid evidence to back up your claims. I make every effort not to make such unsupported claims. Yes, I call Phil Jones a liar and accused him of hiding his data … but that was because he admitted doing so in the Climategate emails, he was convicted by his own words. But to accuse without evidence people you’ve never met, people who you know little of (what are their names, without looking at the paper? ), people who may be perfectly honest but badly misguided or just didn’t think it through, to accuse them without evidence of scientific malfeasance and concealing their data is just not on. things have happened before and will happen agin, but the difference now is the frequency of multiple issues affecting our weather, and the final arbiter for me is old gardeners, subjective, but very astute observers of weather patterns. Hi Donna, good point, that puzzled me as well. I could not see how any organism living in those regions would not have already evolved to meet this sort of climate. Thanks, Frank. First, your analysis is 100% correct, I gave a simplified version leaving out the constants. However, that just makes things worse, not better. Since x1 and x4 are unrestricted constants, your claim is that something like “temperature + 11”, when temperature has been normalized, “could have” some physical meaning? In passing, Frank, let me object to “could have” and “might contain” and “will possibly” and “may lead to” and every other kind of weasel words that are so popular these days. For example, it’s true that a doubling of CO2 “could have” the consequence of a runaway greenhouse effect leading to the heat death of the planet … so freakin’ what? Theoretical possibilities are endless. Either you can come up with a physical meaning for a number like “normalized temperature plus 11” or you can’t … and I can’t. If you can, fine. If not, saying it “could have” that meaning is redundant, because (within the usual limits) anything’s possible, so yes, normalized temperature plus eleven “could have” physical meaning … so what? ….Of course, the alternative hypothesis is, the changing climate forced your goats into unnatural breeding behavior. I was thinking a change in temp (it was very cool this year and bucks are not fertile if the temp is over 90F – kills the sperm) and possibly a change in the solar UV or other portion of the spectra. I had the equines start growing winter coats in July too. WEIRD. Equines are also solar/time sensitive. Sounds like a good PhD project for some vet/bio student. The change in the ratios of solar wavelengths or the temperatures may also have effected the breeding habits of the Penguins. … and that change is not a good one. Whether you believe in the ideas of human effected climate change ( as I do) or not, we have to start adapting the way we cope with this weather. The Penguin chicks show what happens when organisms do not adapt, and it’s a lesson for all of us. Dear heavens … Gareth, to date the Penguin chicks haven’t shown us a damn thing—read the head post again. The only record that seems to be safe at the moment is to get through a season without breaking one. Without any specification of which records you might be referring to, that is totally meaningless. My free advice, worth every penny you paid for it? Read the head post again. Think about what it says. Stop with the platitudes. Specify what you are referring to. I regret being so harsh, Gareth, but … really? Fledging in this context is not leaving the nest but is growing feathers. What they are saying is – However, when more chicks died, they didn’t live long enough to fledge. Brilliant!!! Thank you – that needed to be said. I love it myself … but these days I check my work with Mathematica. A protip for math lovers without deep pockets to purchase Mathematica, Wolfram Alpha can do this kind of stuff as well … note the odd syntax needed for A^2, click on the “More” button to see other possible factorings. So, as far as what we should do about it? Well considering nothing is really different, I would say pretty much nothing sounds like a really good plan. You disagree? Traditionally, BBC stands for ‘Buggers Broadcasting Communism’. I like the way you put that, Willis. Models are only useful in areas where the science is well-established; otherwise, they are biased by the unproven assumptions used to program them. There are many things about climate that are too complex and chaotic to fully understand at this time. So a climate model is basically an echo chamber that produces what it was told to produce. Until we gain a much better understanding, climate models will “confess” only what we force them to confess. This reinforcement of unproven (and probably false) premises only delays the advancement of science. It does nothing to help us gain a better understanding. However, climate models are useful in telling governments what they want to hear to keep the grant money flowing, so we can expect this waste of time and money to continue. You heartless lot! Thanks to Global Warming, penguins will soon be hanging themselves in despair from the palm trees in Antarctica. Oh dear,Willis, are you bored this evening? Who on earth has upset you? Read the rest of my all of my posts,try and look at the general thrust of my argument. You are not being harsh, just firing from the hip as usual. Think and reflect before posting and take a tip from Jimbo on keeping the discussion civil. As for specifics, read the thread again and there you will find references. You can ignore what is happening in the UK because it does not fit with your philosophy, but that is no help to the people suffering from floods and continual rain. This thread is apparently about the validity of research on the impact of climate on an organism. My point is that there are organisms in the UK who are being affected which are a bit more obvious than Penguin chicks. But thanks for your response you miserable old goat, I don’t agree with you much of the time, but I try and read your posts because I Iike the way you write. However I’ve obviously caught your attention and obviously scored big time to deserve such a response. Maybe I’m starting to get through? Finally a point you may find useful, please read it carefully. Thanks DS,have a look at Jimbos’ discussion with myself on this for a response. Ostia Antica, the ancient Roman seaport 2000 yrs ago, is now 3 – 4 miles (2km) from the sea and Pevensley Castle, England, where William The Conquerer landed in 1066, is now one mile from the sea – indicating the probability that water temperatures are now cooler. Todays Chicks should be very happy at that. More ice at the Poles and Glaciers. Penguins are going to do just fine and homo sapiens will probably get a boost to their intelligence the hard way via the next glaciation. Ostia Antica, the ancient Roman seaport 2000 yrs ago, is now 3 – 4 miles (2km) from the sea and Pevensley Castle, England, where William The Conquerer landed in 1066, is now one mile from the sea – indicating the probability that water temperatures are now cooler. Sorry, but no. It does not indicate anything about water temperature. It is a result of isostatic rebound. Scotland was covered in ice that was kms thick in the last ice age. The ice went with the end of the ice age. And Scotland sank under the weight of that ice with the result that the South (especially the South East) of England and Wales lifted up. With the loss of the ice Scotland started to rise up and the South of Britain began to sink back. This recovery from the ice age continues to this day. PS Ostia has lifted as a result of Earthquakes. ORIGINAL CAPTION Figure 1. 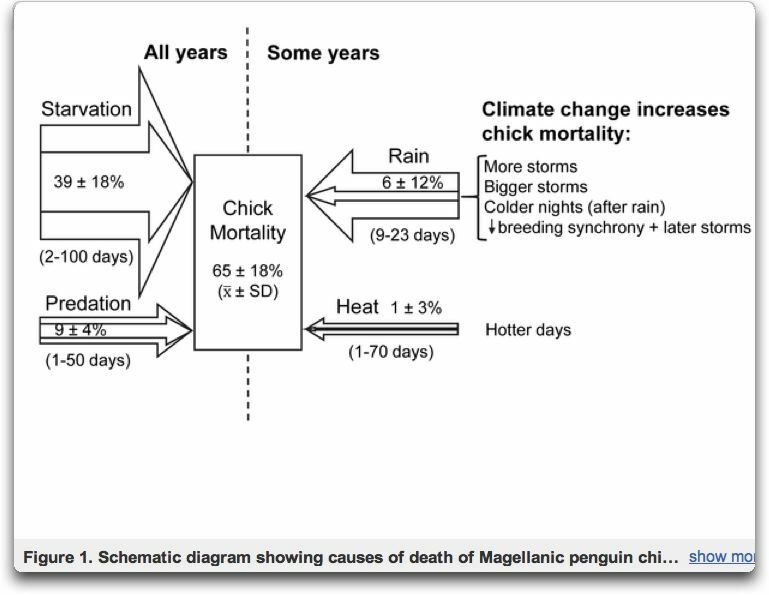 Schematic diagram showing causes of death of Magellanic penguin chicks. Starvation and predation killed chicks in all years; rain and heat killed chicks in some years. The overall mean percentages of chicks killed by rain and heat are smaller than the means for starvation and predation, but the variability is higher for rain and heat than for starvation and predation. In 2 years, rain killed more chicks than starvation and predation. Height of the inner arrows is proportional to the means. Height of the outer arrows is proportional to the mean ±1 standard deviation. Days in parentheses under each arrow refer to the range of ages at which a chick is most vulnerable to that cause of death. Means in the arrows do not total the overall mean mortality rate in the rectangle because the overall mean includes unknown and other causes of death. The list on the right indicates ways that climate change will increase the mean and variability of chick mortality by rain and heat. N = 28 years, 3496 chicks. Ok, fair enough … but there still are a couple of problems. The first one is that there is a mistake in their estimates of variability. They say that the central box, which is the sum of the mortality causes, is 65% ± 18%. The problem is that the sum of the various estimates of variability is equal to the square root of the sum of the squares of the individual variabilities. Next, are we truly to believe that the storms kill ” 6 ±12% ” of the chicks? How does that work out? Six minus twelve is minus six chicks killed by storms? Some years it kills eighteen percent of the chicks, and in other years it brings six percent of the chicks back to life? So I thought, well, perhaps it’s possible depending on the distribution. I checked the starvation data with a poisson distribution, but the tail isn’t long enough. However, I can reproduce the data for starvation (mean = 39%, std deviation = 18%) no problem using a gamma distribution, which has a longer tail. The same is true with the predation data, mean 9%, std dev ±4%, I can reproduce that with a gamma distribution as well. So far, so good. But I can’t think of any distribution of counts of events that has a mean which is less than its standard deviation. I tried, but the gamma distribution can’t do it. This quote from the study seems to state the obvious but doesn’t say which condition is worse. Their Fig 7 seems to show that the best results occur at a hatch interval of 19 days. But I can’t tell by eyeballing the curves whether 13 days or 27 days results in more chick deaths. The 13-day curve is taller, but the 27-day curve is wider. Perhaps Willis, with his experience reading graphs, can tell us which interval shows the highest mortality rate and whether it is significant. They also say that “The shortest laying interval was 11 days in 1985 and the longest was 21 days in 2006.” In 2010 it was “17 days.” That means the interval has not been steadily increasing with time as they seem to imply. It actually decreased from 21 days in 2006 to 17 days in 2010. So unless the local temperature decreased during that time period, there may be other reasons than temperature for the variation in hatch intervals. There could also be a random factor. I certainly don’t see any valid reason for confidence in their prediction that the hatch interval will increase to 27 days in 2080. It just seems logical to me that penguin chicks that carry genes from their parents for the optimal hatch time (whatever it may be at the time) will be more likely to survive. So the laying interval will adjust itself as the climate changes. The up and down variations these researchers report during their 28 years of observation seem to indicate that to me. So even if the climate does warm between now and 2080, the hatch interval will adjust accordingly to whatever interval results in greater survival. More frequent storms could be a more difficult issue for the penguins to adjust to, but we have yet to see any real evidence that storms are becoming more frequent, or that they will if temperatures rise. There’s no stopping the man. If he didn’t exist, I’d invent him just for the entertainment value of his comments. On rain – I have already shown that Rain in the UK today is no different then Rain was over the past. And even if you didn’t want to take my word for it, you could take the Center for Ecology and Hydrology who has already stated ‘data does not support the view that rainfall is increasing in the UK, or that rivers are flowing faster than in years past’ when they were dismissing the Global Warming crowd who were similarly insisting the 2007 floods were somehow because of Climate Change. Anyway, that is where your complaints need to be addressed – Green Movements and the Governments that encourage them. Otherwise your concerns are just fear caused by alarmists rants, and suffering caused by those same alarmists haphazard (and extremely destructive) attempts to ‘protect’ nature. I had heard it was originally the British Broadcorping Castration. Anyway, the chicks look fat and well fledged – is this a subtle comeback for the BBC? Also, its worth than we thought; cold weather results in higher mortality among penguins and poor European pensioners. Mitigation? Lets build a coal fired plant in Antarctica and a few dozen in UK. Yeah, it looks like a BBC makeover. @ DS Your end results are minor floods your area has been experiencing for hundreds of years seem much more problematic then they need to be. Thanks for your analysis DS, but it looks like you disagree with myself and the UK government who have just convened COBRA to deal with the flooding emergency. The perspective from our side of things is that this is a much more serious situation than a minor flood which happens on a regular basis. The point about not dredging canals and drainage dykes was to try make fields flood instead of towns, it was a deliberate policy to try and address the increased rainfall and flooding. I think the issue with brush wood over your side was an unintentional mistake, whereas ours was an attempt to deal with a specific threat. I must admit though, it is wonderful seeing the Isle of Avalon as an island once again in the same way as it must have been hundreds of years ago. And Pevensey is now inland because of drainage and land reclamation. Willis, I was thinking about this today. Did they mention anywhere in their study that quadratic equations sometimes have two solutions? For example, this is a common error with internal rate of return calculations. It’s such a glaringly obvious error, surely they didn’t miss it? > Either you can come up with a physical meaning for a number like “normalized temperature plus 11″ or you can’t … and I can’t. If you can, fine. Sorry, you’re right. I was trying to make a succinct point in limited time, but I do agree with you that it’s too easy to use weasel words. So, I’ll elaborate. Adding precisely 1 (or in fact, precisely 11) to a variable is suspicious, in that it is very unlikely that nature would use precisely that number. There we agree, I think. However, I don’t think it’s suspicious if nature has some kind of offset value. Take just this term: “x4 A (R + x1/x4)”. The ratio x1/x4 (say, -100 mm/year?) can relate to some “critical” amount of rain at which point having more rain increases death rate, and less lowers it (maybe in reality it is the opposite, I’m no penguin expert, but that just depends on the sign of x4). As for your example with temperature plus 11: actually I’ve seen reports that death rate amongst human elderly increases around oh, 30-40 degrees Celsius. That 30-40 degrees Celcius is not without physical meaning. Probably the optimum is around 20 degrees, so I would say having term ” -x1 (T-20)^2″ would make perfect physical sense. Hope that clarifies my point. Anyway, thanks for the great work you do. I’ve been doing that for 25 years. As you point out, some of the statistical analysis done in the paper is at best naive and inadequate. In the case of the deaths due to “heat”, it appears that they have taken the percentages of deaths attributed to that factor for each year (as evidenced in Figure 2A) and calculated the mean and standard deviation. Digitizing the 26 values produces a mean of 1.21 and an SD of 2.88 which would round to the values in Figure 1. A data set consisting of mostly zeroes along with several large values can indeed produce SDs greater than the mean. In such a case, a Normal based confidence interval would not be reliable. Without the data (or a description of their procedures), it is not possible to determine whether their averaging was done correctly – the values should be weighted according to the sample size in that year. If that were done, the mean would be equal to 100*40 / 3496 = 1.14%, i.e. the overall percentage of deaths due to that cause. Using the binomial SD for this would also not be suitable since the individual deaths within any year are not independent. Proper error bounds for the percentage of deaths is more complicated than what they seem to have done. There are other question marks concerning their analysis, particularly involving the logistic regressions. For readers who may be unfamiliar with the procedure, in this case, they are expressing the log of the odds ratio of a chick dying (i.e. P(chick dies)/(1 – P(chick dies)) ) as various configurations of second order polynomials involving the the three variables, age, rain, and low temperature. In the paper, they then state: “When the explanatory variables are standardized, the regression coefficients reflect their relative importance” so each of the predictor variables is transformed to have mean zero and standard deviation 1. This can have a material impact on the results of the analysis when there are terms in the predictive equation which involve products and/or squares of the predictors. The coefficient Age and Rain is correct, but the separate coefficient for Age shown separately in the calculation output results would be reduced by C*m_rain from the value that one would get when using the unstandardized variables. This would affect the p-values for such individual coefficients (none of which are shown by the authors for any of the models). A simpler solution would be to use the original variables and then divide the coefficients by the standard deviation if that is a comparison one wishes to make. There are more questions as well, but data would be needed to answer those. Thanks for your analysis DS, but it looks like you disagree with myself and the UK government who have just convened COBRA to deal with the flooding emergency. The perspective from our side of things is that this is a much more serious situation than a minor flood which happens on a regular basis. The point about not dredging canals and drainage dykes was to try make fields flood instead of towns, it was a deliberate policy to try and address the increased rainfall and flooding. First, again, Rainfall has not increased – how is this so difficult for you to understand? Only “models” say it will; actual evidence says it hasn’t at all. I think the issue with brush wood over your side was an unintentional mistake, whereas ours was an attempt to deal with a specific threat. Yeah, an “unintentional mistake” which we still cant get the Government to undo because they still insist they did the right thing in the first place (well, our Democrats at least – they are the only side that bows down every single time environmental groups say boo over here). Look into the 2012 Colorado Wild Fires – they were probably the most devastating we have seen yet, burning more then 200,000 acres of land (it is quite an “unintentional mistake”, you know.) Much more then 10 years later, the “unintended mistake” is destroying the countryside like never before and there is no end in sight as Democrats double down on their policy absolutely refusing to admit the mistake and accusing people of “politicizing fires” if you try to correct what is causing the fires to be so damaging. So anyway, our Brush, like your River Gunk, is still there, still causing massive fires – and we are still being told that not removing it is the “best thing to do”, just like you are. Again, your Rain is not increasing and your Flooding is not happening more frequently – those are just hard facts. The only difference is people have a tendency to always think what is happening today is more severe then it has been (especially with News being provided 24/7 to our finger tips – and that is even more so when most of the news sources and talking heads fall into the categories of…), Alarmists are jumping up and down screaming every single instance of Weather is somehow “proof” of their comically incorrect predictions and Governments never want to admit when they make something happen/worse. after Cameron finally came to his senses, apparently just now realizing this is “not acceptable,” and is now sending Dredging and Pumping equipment to the unfortunate county. But in the end, what is more important; peoples safety or the ability of alarmists to make a bunch of noise and act like they are somehow correct for a change when they themselves helped create the problem they are screaming shouldn’t exist? I write to support DS in his post at January 31, 2014 at 9:31 am. Please note that the Government has to local outrage at the floods by agreeing to reinstate the needed dredging in the Somerset Levels. The floods have nothing to do with changed rainfall. I addressed this on another WUWT thread and I copy that post to here to save you needing to find it. Thanks as always for your insights. RomanM, for those who don’t recognize the name, is a man with very strong statistics-fu, one whose statistical advice and insights I always pay close attention to. For example, I hadn’t thought through all of the implications of their standardizing the data before using it, and as Roman points out there are some subtle problems with that as well. Again, Roman, my thanks for your correcting my error above. … Adding precisely 1 (or in fact, precisely 11) to a variable is suspicious, in that it is very unlikely that nature would use precisely that number. There we agree, I think. Thanks for the clarification, Frank. You raise an interesting point. However, I still don’t like the procedure, because of the units involved. Remember that they have normalized the temperature, meaning that it is no longer in degrees C, but in units of “standard deviations”. I fail to see how adding standard deviations to degrees gives you anything real. Yes, if they did it before normalization, I could see it might possibly be right, because then you’re adding degrees to degrees as in your example above, and that has a real-world meaning. But adding standard deviations to degrees? That just makes me nervous. My best to you, and thanks for coming back to make your meaning clear. I note the location at Punta Tombo, at 44 degress S. In the northern hemisphere, this is like Eugene OR or Rapid City SD in the west or Portland Maine in the east. I have lived the summers in southern Argentina, much more to the south, in the sheep ranching (pre-Mt. Hudson eruption in Chilean Andes) area between Comodoro Rivadavia (@45 S) and San Julian, in Santa Cruz Pvca., also on Argentina’s coast. It was down right Hot most of the time. Almost all of the time the wind was downright fierce, clocked at 160+ kms/hr on the worst days in Comodoro aeropuerto. Post Mt Hudson eruption the foxes had no sheep to eat, so perhaps had reason to feast on Penguinos. It was estimated that Mt Hudson killed 30 million sheep in Santa Cruz Pvca. All the sheept estancias were bankrupted. My other suggestion is that the guanacos or the nandus or the Patagonian hare ate the penguins (just joking), but most likely they were bothered to death by the turistas. Thanks for the local view point. The lost of the sheep would certainly send what predators survived out looking for other food. True: The loss of the last of the sheep would require the the last of the predators to find other prey lest they themselves become the last food of the last lost-seeking late food-finders …. The subject paper of your post, “ Counting your Chicks Before They Hatch” is a paper that involves a number of complementary hierarchical statistical analyses that appear to involve both standard linear regression (e.g., Figure 6) and multi-variable logistic regressions. It appears that some of the analyses may have been performed using statistical categorical variables along with normalized (Z) continuous variables (for age, rain, etc). I don’t have much recent experience with logistic regression, but I did use this method in the 80’s to analyze fatigue failure in superalloys based on defect sizes and location (surface vs internal), etc. Logistic regression uses mortality or failure (life) probability regressed against a set of predictor variables (either continuous or categorical). As such your normal understanding of variance (or stdev) may not apply in the way you think. Indeed, if you do a search on the original article, you will only find two instances of the phrase, “Standard Deviation”. I have read this paper carefully several time and while I can’t claim to have fully grasped the entire presentation, I believe the statistical analyses were probably done properly . . . the authors used commercial (Stata2) software. I do believe you are irresponsible for indicting a paper that you don’t appear to understand; and . . . yes you like specifics. (1) Your factorization of the authors’ proposed variables (both first order and interactions terms) shows you don’t understand the standard linear model; furthermore your factored version alters the factors that the authors thought were important and in any event would be non-workable outside a non-linear scheme. (2) You misinterpreted the effect of variables on mortality (e.g., X% +/- 1.5 X%) as being wrong. . . no the uncertainty of the effect is sufficiently large that it could have a larger (+) effect at one extreme (increasing mortality) or a lesser (-) effect at the other extreme (decreasing mortality). (3) You original post and subsequent comments suggest you really don’t know anything about logistic regression. I’ve enjoyed, and learned from many of your posts over the several years that I’ve been a WUWT devoted follower. But, I do believe that sometimes you react too quickly to errors in papers you review, without fully discriminating between what do you know versus what you don’t know. I am a bit baffled. did I get this right? It is the time they choose to lay eggs that has changed a bit not the time it takes to get this done correct? If this is the case then one would have to assume that they would have better survival since not as many of their offspring will be at their most vulnerable at the same time. To conclude that this makes them less safe implies there are less issues at the original range of dates. Unless it wasnt covered here that is not a case they made in any way so the obvious conclusion is that having a wider range of dates that individual chicks would be vulnerable would be better not worse. The idea that having a wider range of dates opens them up to more storms, is obviously countered by the fact that having a wider of dates covered by various individuals also opens them up to more days without storms while at their most vulnerable point. Is this really not completely obvious? Mmmm … Dan, I’m not sure how familiar you are with climate science papers. In any case, I fear that the fact that they used commercial statistics software increases rather than decreases the odds that there are problems. I believe my factorization of the terms is absolutely legitimate. I note that in RomanM’s analysis above, he found no problem with it. However, he did point out further problems I hadn’t thought of regarding the standardization process … you sure you want to defend this penguin paper’s statistics against RomanM? And I assure you, I understand the standard linear model quite well. I can give you the underlying math for how to do the analysis in whole or in part. I’ve done hundreds and hundreds of them, both using commercial statistics software, as well as using functions for linear modeling that I’d written ab initio, in order to be sure that I understood them. This is one of the problems with just picking random combinations of interactions of factors. You can end up using combinations which sound reasonable but have no physical meaning … as in this case. You are correct, I was wrong in that … however this was my attempt in a comment to further understand what they’d done. It had nothing to do with the head post, which stands on its own. Didn’t you say just a few lines above that you were going to be specific? That is totally and completely vague. It’s nothing but mudslinging based on your uncited, unsupported belief. Sorry … that just loses you points. Thanks, Dan. Let me cut to the chase here. They’ve collected a bunch of great data. Then, rather than analyzing the data, they used the data to make a model. In all, their model has a total of 8 parameters. Then they did a linear extension of a 28-year trend in egg-laying to the year 2080, to get their claimed egg-laying period at that point. Then they applied their whiz-bang model to the results of the 28-year trend that they’d extended out 66 years, and proclaimed their conclusions. So that was their method … are you telling me that you are defending that on the basis that they used commercial statistical software? Even if their statistics were impeccable, and they’re assuredly not, are you defending that analysis? They did not archive either their code or their data. As a result, their “scientific” study is nothing of the sort. Neither you nor I can replicate it, check it for errors, see if their logic is correct, examine their code for bugs, or see if their data actually supports their claims. And as a friend of mine said … that’s not science, that’s just advertising. Next, what they didn’t do, and what they have to do, is to give us the null hypothesis, and then falsify it. In my opinion, the null hypothesis is that the lengthening of the egg-laying period is an adaptation that will increase their chances of survival, or at worst has no effect on survival. After all, that’s what evolution does. Successful creatures respond to changes in their environment in such a way as to increase their chances of survival … and with over a million Magellanic penguins on the planet, which breed in a variety of locations, my null hypothesis is that the Magellanic penguins know what they’re doing. Now, to falsify that null hypothesis, the authors need to throw away their model and just analyze their data. I don’t care what their model says. What does the data say? My guess is that what they’d find is that their dataset is too short (only 28 seasons) to determine the answer to the question. I say that in part because storm deaths are a low probability event (9%), so you need more years to get good statistics. But like I said … we don’t have the data, so it’s just advertising. Finally, surely you are not defending their claim that global warming will increase the number of storms. That is the basis of their whole paper, and they don’t even try to justify it … but even the IPCC doesn’t believe that nonsense any more. The planet has been warming for well over a century, and in all that time, there has been no increase in any type of weather extremes. • They have extended a short-term trend to 2080. That alone disqualifies the study as science. • Despite not being tested for even five years out-of-sample, they are applying their model to the putative 2080 conditions. 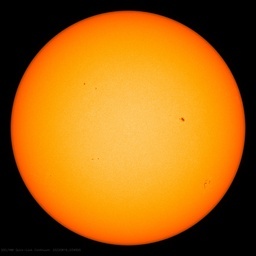 • They have claimed that there will be more storms as a result of global warming, when there is no evidence of that anywhere, nor is it supported by the IPCC AR5. • The authors have not archived either their data as used or their code as used. As a result, there is no way to replicate their study, which makes it just an anecdote, not science in any form. Dan, I said the paper was bogus. Whether my factorization of the statistics is correct makes absolutely no difference to that conclusion, and I stand by it strongly. I expect you did a great job of smashing the Penguin Chick story. (I didn’t read it) And it must be satisfying to have the talent to do so, but the way to win at Whac-A-Mole is to pull the plug on the machine. The largest breeding colony of Patagonian (Magellanic) penguins, at Punta Tombo, Argentina, had approximately 200,000 breeding pairs in October 2006—a decline of 22% since 1987. Of course they are selling the area to tourists, but the people who did the study were paid to sell disaster. So there was an average of just over 8.5 storms per year, less than 7% of those storms killed chicks, but that becomes an ecological portent of doom brought on by climate change. Steve, when you figure out how to pull the plug on climate alarmism, I’m your man … I’ve never figured it out, so I just do what I can. You seem to think that doing what I can is somehow bad and wrong … but since you haven’t found the plug to the whack-a-mole machine, what do you suggest doing? Willis Eschenbach, I appreciate what you do. Please keep it up. But I have to say something else as I can’t just be a cheerleader (I haven’t got the legs). •All model variables to have some clearly defined meaning in the real world. •All combinations of variables to be factored and simplified to check rule 1. •Refer to the real world observations to check the model. And that’s just what I got from this paper. Such a list would drive up standards, in my opinion, and you have the platform that could start the discussion. No, we’re talking about the coast of Patagonia, in the rain-shadow of the Andes with a desert climate and approximately the same annual precipitation as Phoenix, Arizona. It seems to me to be a case of too much education. I believe my lack of knowledge of statistics may allow me to see what is involved here more clearly. I won’t comment on synchrony, only the author’s assertion that “events [storms] appear to be increasing as climate changes, further stressing the population.” In fact, one might conclude that just the opposite is happening. The link between climate change and chick mortality claimed by the authors is difficult to establish because no climate data is given. In order for change we must establish a base period against which to compare. The base could be an average of a period within the study, or a period immediatley precdeeding the study or some other period. The authors do not do this. We are left with a few scraps of information to use. At the Trelew airport weather station (43° 12′ S, 65° 16′ W), about 90 km north of Punta Tombo, precipitation in storms became heavier: the amount of precipitation from wet days (days with at least 1 mm of precipitation), the number of consecutive wet days, the number of days with at least 20 mm of precipitation, and the percentage of total precipitation from days with more than the 99th percentile of rain all increased . high quality and to have sufficient observations to be used to assess changes for the period 1960–2000.” I am not qualified to judge this paper but I do not think the data or conclusions relative to the Punta Tombo area are complete and convincing. What is not shown is (and I am assuming the TuTiempo.net database is the same as the one used for this paper) that the earlier (1957-1973) records are of little value. 1957-58 do not appear to inlcude precipitation detail. 1973 No precipition indicated in January through May period. 1974-Current Good records with few dates lacking detail. Data concerning weather conditions was accumulated daily according to the authors. We do not have that data. Because of the proximity it is reasonable to conclude that any climatic change at Punta Tombo would be reflected at Trelew. Since we are comparing change, I suggest looking at the period from 1974 when decent records begin through 1982, the period prior to the beginning of this study. And then comparing to the most recent 5 year period. A few points allow us to narrow the data to review. It is worth noting that the vast majority of days in the summer period get no rain. The birds arrive from Brazil in September/October and eggs hatch in November and early December according to the authors. The birds leave Punta Tombo by March. No chicks died from the effects of precipitation beyond 44 days and chicks ” were most likely to die in rainstorms when they were between 9 and 23 days of age…Seven chicks older than 30 days died in storms, all in nests that had running flood water.” Therefore, only rain in the months November, December and January is relevant. At Punta Tombo, we collected weather data daily, usually before 0800 h. We recorded precipitation (±0.1 mm) using a manually-emptied plastic rain gauge, and minimum and maximum temperatures (±1°C) using a minimum-maximum recording thermometer for the previous 24 hours. We defined a storm as a period of consecutive days with measurable rain, ranging from one to six days (165 of 233 storms lasted one day and 50 lasted 2 days; only 18 lasted more than 2 days). For storms lasting more than one day, we added the rain for the consecutive days. From 1983–2010, 206 known-aged chicks (8% of 2482 chicks alive during a storm) died in or after storms. No chicks died in 217 of the 233 storms (93%). Sixteen storms (14 in December, 2 in November) in 13 of the 28 years killed between <1% and 70% of the chicks. One chick died in a storm with only 1.2 mm of rain (with a low temperature of 3°C), but 97.6% of chicks killed experienced storms with at least 10 mm of rain. Precipitation ranged from 0.1 to 142 mm per storm with a mean of 98.8 (±51.3) mm of rain during the breeding season and low temperatures ranged from 1° to 18°C. Storms that killed chicks averaged 29.4±36.1 mm of rain (N = 16 storms). Storms when no chicks died averaged 7.3±13.8 mm (N = 217 storms; t231 = 5.3, P<0.0001). Comment: I guess a bar graph would help demonstrate the pont. What about precipitation? Total reported precipiation for Nov, Dec and Jan for each year. Notes: A storm in 1981 dumped 131.06mm and one in 2011 dumped 135.89mm. Argentina is suffering a serious drought currently. The days with ANY measured precipitation, even less than 0.1 mm, are are recorded as averaging 20.22 from 1974 through 1982 (range of 13 to 34) and 7.8 from 2009 through 2013 (range of 5 to 10). Climate models predict that a storm of 40 mm that was expected to occur at Punta Tombo every 20 years in the late 20th century, will occur every 7–15 years by 2081–2100 . Statistical analysis is wonderful. Of course, starting with good data is important. I am not so sure much earlier data is "clean". In a BioScience article from 2008 P. Dee Boersma relates that penguins arrived in Punta Tombo in the 1920s, grew rapidly and that the population of the colony peaked at some point around four decades ago. As FAH stated above the "paper appears to be a classical example of “overfitting.” What occurs here is that there is a huge of amount of weather data. Precipitation is indicated for less than 20% of dates. Most of those amounts are in tenths of a mm. A very few dates show significant rain of 10 mm or more. A tiny fraction achieve 40mm, but, of that fraction most are 3 to 5+ inches. Occasionally it will rain a lot and when it does chicks will likley die. No regression analysis needed. No indication of AGW climate change shown. From the paper: “From 1983–2010, 206 known-aged chicks (8% of 2482 chicks alive during a storm) died in or after storms. No chicks died in 217 of the 233 storms (93%).” (my emphasis). Most of the 206 storm casualties took place in just 2 years, 1991 and 1999 (fig 2a). Starvation and predation were far more significant dangers to the penguin chicks in most years. It seems to that there is a very interesting paper to be written (using the same data) on the remarkable resilience of penguin chicks to rainstorms.